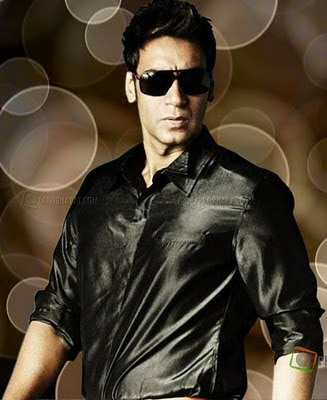 (1) Ajay Devgan has lend his deep voice for the Deols ‘Yamla Pagla Deewana’ (YPD). The actor has done the narration at the beginning of the film. (2) Dil to Bachcha Hai Ji Release Date – 26th January 2011 Dil to Bachcha Hai Ji Cast - Ajay Devgan, Emraan Hashmi, Omi Vaidya, Shruti Hassan, Shazahn Padamsee, Shraddha Das Madhur Bhandarkar said that, "This is just a little token of love from my side to my fellow Indian on Republic Day. This is why we have decided to release 'Dil...' on Jan 26th now. I hope everyone has a bone-tickling R-Day." (3) Ajay Devgan flew one of the largest size kites of 10 feet height along with Hot Shazahn Padamsee from the movie - ‘Dil toh Baccha Hai ji’. The evening saw a different side of the ‘Golmaal’ actor as he interacted with listeners of 92.7 BIG FM and gave some interesting tips on how to fly kites.